So who is Alaska Gov. Sarah Palin and why did McCain pick her? It seems I’m not the only one with that in mind. NEW YORK (CNN) — John McCain’s brilliant but risky “Hail Mary pass” choice for vice president, Alaska Gov. Sarah “Barracuda” Palin, has the political world saying first: Who? And then: Why? The “who” is a young, articulate, smart, tough, pro-life Roman Catholic who is the governor of our northernmost state. She is conservative and a mother of 5, including a son in the Army who is set to be deployed to Iraq on September 11. Her youngest child has Down syndrome. The “Barracuda” nickname came from her aggressive basketball play on the state championship basketball team. She is a hunter, pilot and lifetime member of the NRA. She is blunt, outspoken and charming. And don’t assume she can’t stand toe-to-toe with Joe Biden. She is a great debater. And she was runner-up for the Miss Alaska title, won Miss Congeniality in that contest, and plays the flute. She also has a compelling story and is a most interesting choice. She will be known by all in 24 to 48 hours in this instant media world and I am betting she will be well-liked. The “why” is she is a governor and outside the Beltway. Conservatives love her and she shares John McCain’s value system. She is also known for taking on the establishment and ethics is her forte. She defeated the longtime senator and Republican governor in a primary and then went on and defeated the former Democratic governor. I don’t believe people vote for vice president but only for president. That said, I think she is every bit as good a choice as Biden. Alaska has three electoral votes and so does Delaware — so that part ends up being a wash.
Sen.John McCain picked Gov. Sarah Palin of Alaska as his running mate, according to the New York Times. “As we have stated earlier, the City of Baldwin Park needs this project, which when completed, is expected to benefit the more than 80,000 strong community of Baldwin Park by improving the quality of life, creating jobs and providing greater economic opportunity, just as projects such as Wal Mart, Target and others have done. As elected officials representing the voters we want to honor the spirit of Proposition 99. Even though Proposition 99 allows the CDC to consider acquisition of those owner-occupied homes whose owners received offer letters from the CDC in December of 2007, the Council has decided to exclude those owner-occupied homes from the proposed revitalization project. Therefore, we will not be approving a resolution of necessity regarding those homes even though that would be permitted under Proposition 99. Based on that, we have also directed staff to work with the developer to redefine the scope of the proposed project. Staff will also be working to evaluate if any additional changes to the proposed project’s timeline are needed in view of the changed economy and condition of the financial and housing markets. It is our continued strong hope and desire to see the proposed redevelopment of our downtown come to fruition, as we seek to achieve the much needed revitalization of the community we all love. Therefore, the Council and CDC will be pursuing review and consideration of matters such as certification of the Master EIR, redevelopment plan amendments and land use entitlements. We anticipate the EIR certification process to start next month with the other processes taking place over the next six-months or so. On behalf of myself and the Council, I would like to thank all of you who have supported the proposed project, to date, and ask you to continue your support. We are confident that the much needed revitalization of downtown and the surrounding area will happen. I got these bumper stickers today. Wow, looks like the next election in Baldwin Park could be real interesting. 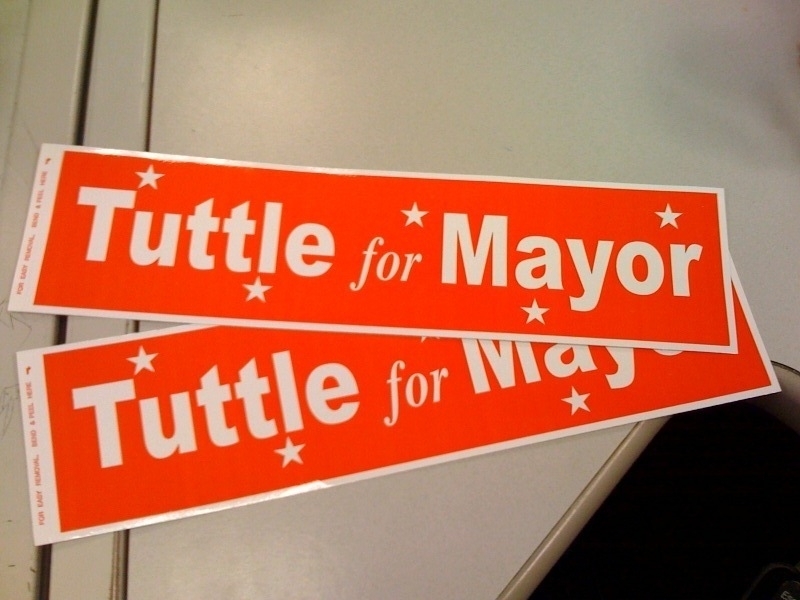 Of course, Greg Tuttle needs to move into the city first before he can even consider running for City Council. Tuttle may have a business in Baldwin Park but he lives in Pomona. I paid a visit to La Puente pastor and Mt. Sac professor Eddie Romero today. Romero hid from Chinese authorities for 18 days. Turns out he stumbled upon an enclosed, overgrown garden area on a Chinese military compound on the outskirts of Beijing. He found a ditch and called it home until after the Olympics were over, when he turned himself in at Tiananmen Square. Romero said he survived mostly on water, beef and turkey jerky and nutrition bars. He also said he chewed up his cell phone’s sim card while in an interrogation room so that Chinese authorities wouldn’t get the names and numbers of people Romero was working with. More to come in a story running this weekend. In the meantime, here are some photos of Hacienda Christian Fellowship, where Romero has been a pastor for more than two decades. 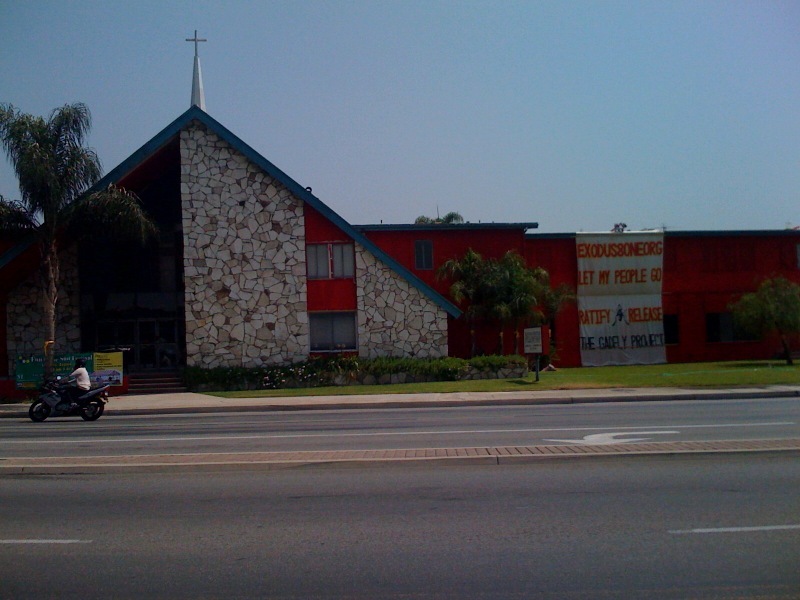 Parishioners painted the church red in support of Romero’s efforts. The disappointed politicians are out in full force today. This press release just popped up in my email from the office of Assemblyman Ed Hernandez, D-West Covina, who said he is disappointed in the passage of the toll lane legislation that will allow the Federal Department of Transportation to implement a congestion pricing plan that would take existing carpool lanes on the 10, 110, and possibly the 210 freeway, and convert them all into toll lanes, as Dan Abendschein reported. “I am disappointed that SB 1422 was able to move forward today. I had serious concerns about this toll lane plan from the start. This was a hastily crafted proposal that has led to fundamentally flawed legislation…. “We really needed more time to carefully consider this plan and flesh out the details before we voted on it. Not only were there obvious conflicts between the legislation we voted on today and the agreement Metro signed with the Department of Transportation, Metro only began actively seeking community input on these toll lanes this month. In fact, the only real opportunity for affected communities to hear this plan in detail previously had been at a meeting I organized this past June in West Covina as Chair of the San Gabriel Valley Legislative Caucus. Here’s what Los Angeles County Board of Supervisor Gloria Molina, according to a press release, has to say about a judge’s decision that will allow taco trucks to continue to park and serve. “I am very disappointed with Judge Aichroth’s ruling in this case and, frankly, I do not understand the basis for his decision–especially since he provided no explanation at all. Other municipalities–from Montebello to Los Angeles to Beverly Hills–have similar or more stringent laws regulating catering trucks. 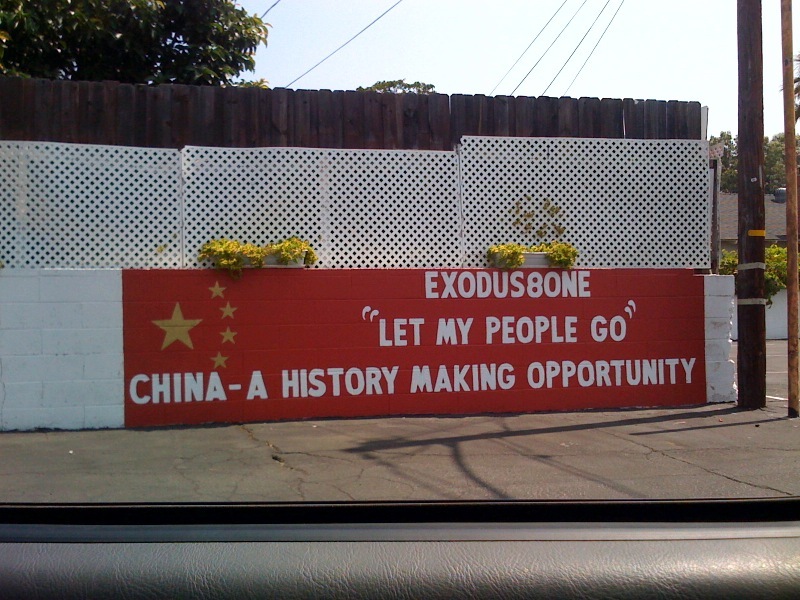 It seems that only in East Los Angeles is regulation on this issue problematic. “I will continue to stand up for quality-of-life issues in East Los Angeles and elsewhere in the First Supervisorial District. As the residents I represent have continually made clear to me, catering truck regulation remains a top priority–and I will not be deterred by Judge Aichroth’s ruling. I made a call to Industry’s city manager Philip Iriarte, but quickly hung up when I got the voice mail of Kevin Radecki, left. Turns out, Kevin is the city manager now and Phil, right, is now the Deputy Executive Director of the Industry Urban-Development Agency. Andrew McIntyre was born and raised in West Covina. He attended South Hills High School and later went on to graduate from the University of Southern California (USC) where Andrew received his degree in Public Policy Management & Planning. Andrew is currently the Water Resource Manager for the Canyon Water Company. He is directly involved in the daily management and oversight of all water resources required to insure an adequate supply of high quality water. Here’s the problem: McIntyre never worked or sat on the board for the San Gabriel Basin Water Quality Authority. The Los Angeles Times reports that taco trucks are still here, for now. The Los Angeles County Board of Supervisors, however, will be appealing a decision by a LA County Superior Court Judge on Wednesday. A Los Angeles County Superior Court judge Wednesday overturned a controversial ordinance passed in April by county supervisors that made it a misdemeanor in unincorporated parts of the county to park a taco truck in one spot for more than an hour. The language of the ordinance, Judge Dennis A. Aichroth said, was “vague” and therefore “unconstitutional” in its description of how quickly a vendor could return to an area where the truck was previously parked. Aichroth said it also violated the vehicle code because county supervisors had not properly established that it was written in the interest of public safety. The deputy district attorney who tried the case against Garcia was unavailable for comment, but a spokeswoman for Supervisor Gloria Molina, the ordinance’s author, said the fight was not over.